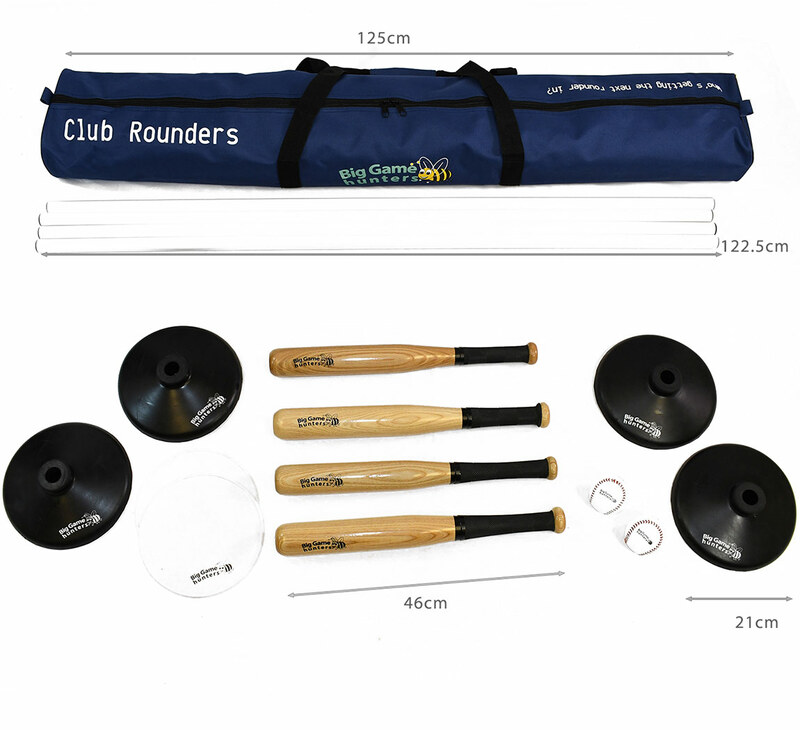 Rounders has been a popular team game for many years and is a game which can be enjoyed by all. 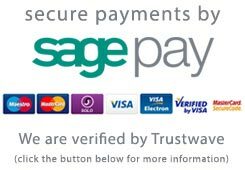 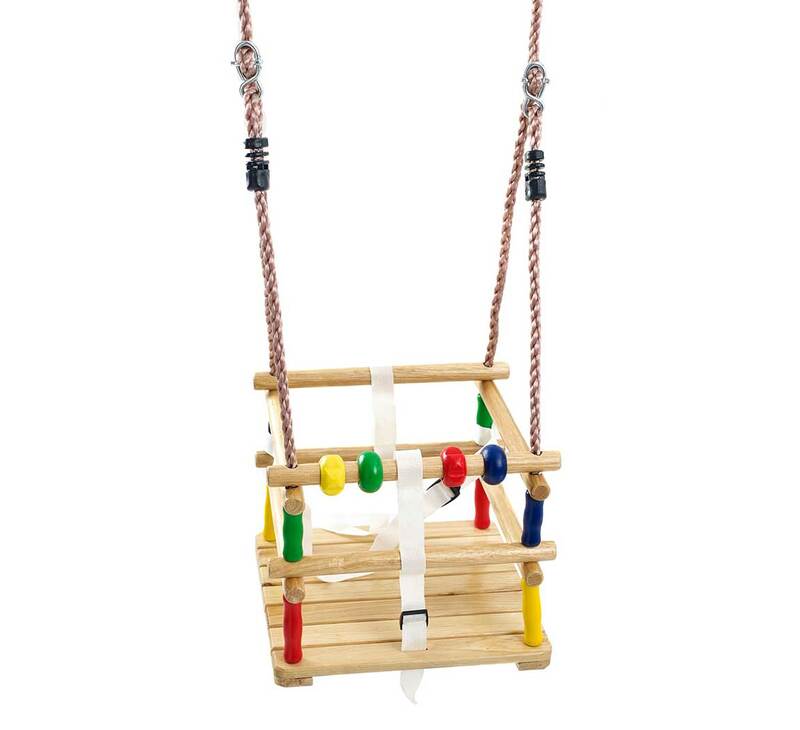 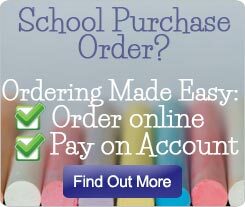 The game can be played in the garden, in the park or at the beach. 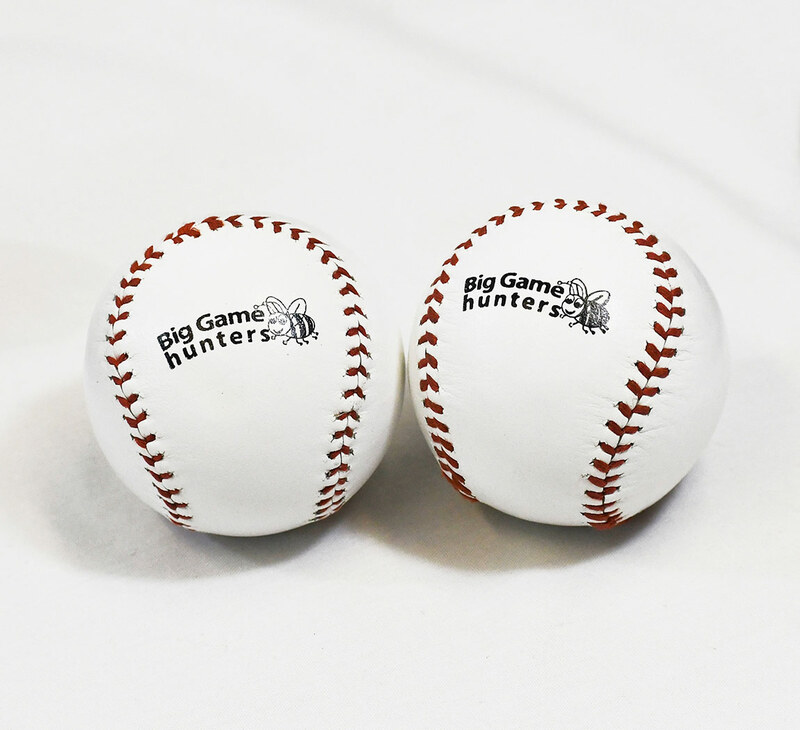 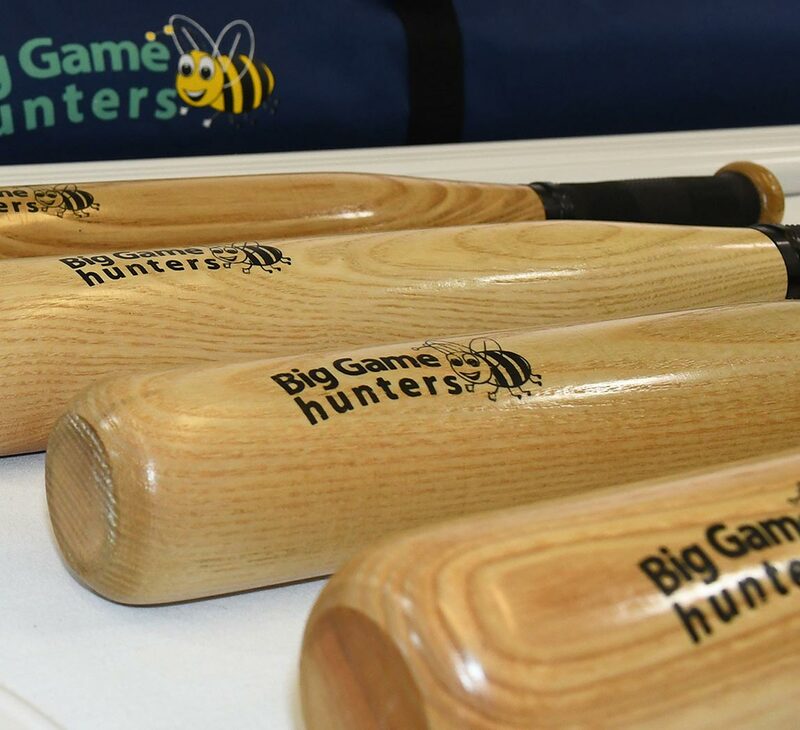 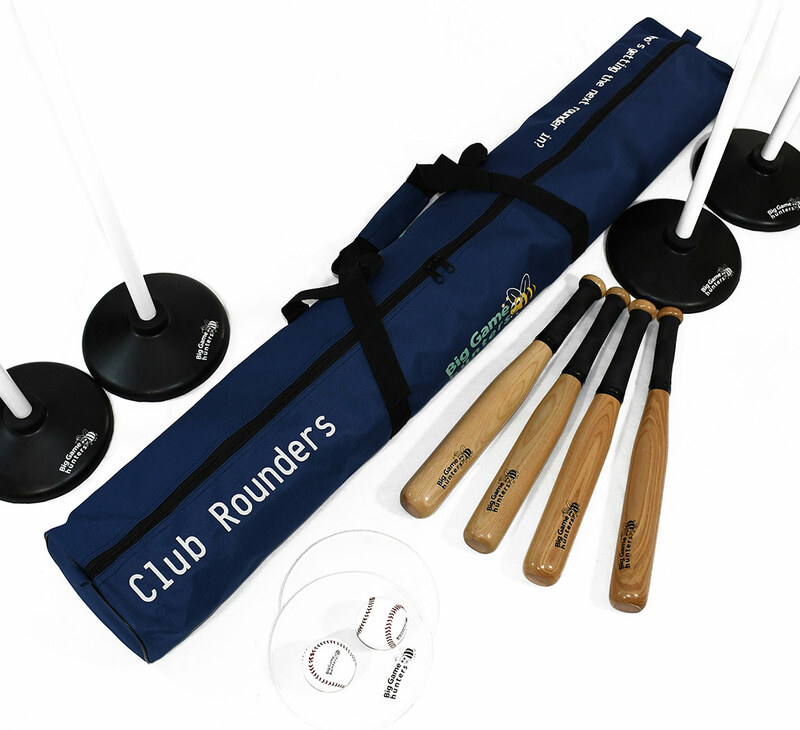 The Club Rounders set from Garden Games includes 4 solid Ash bats with rubber grips which means that the batter doesn't have to think about dropping or throwing the bat for the next player. 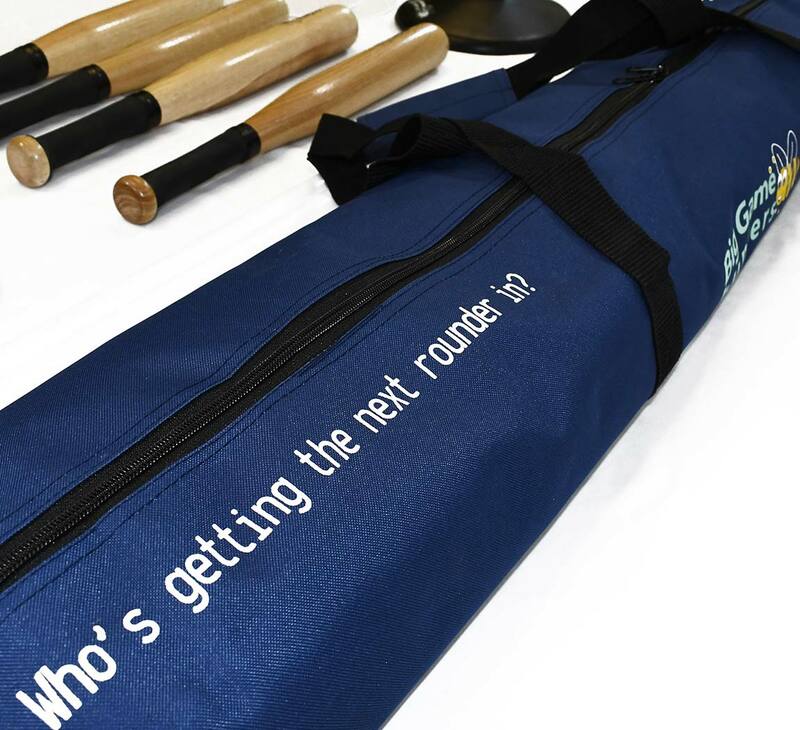 The 4 solid rubber bases hold the posts in position and mark out the pitch during play. 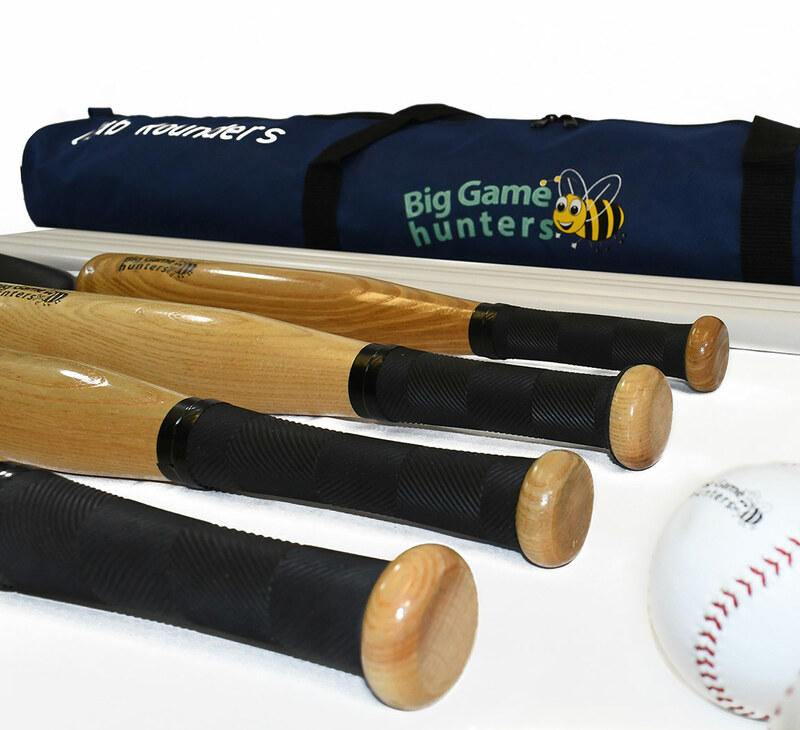 All the equipment comes packed in a strong, durable, zip close storage bag allowing this set to be enjoyed for years to come.